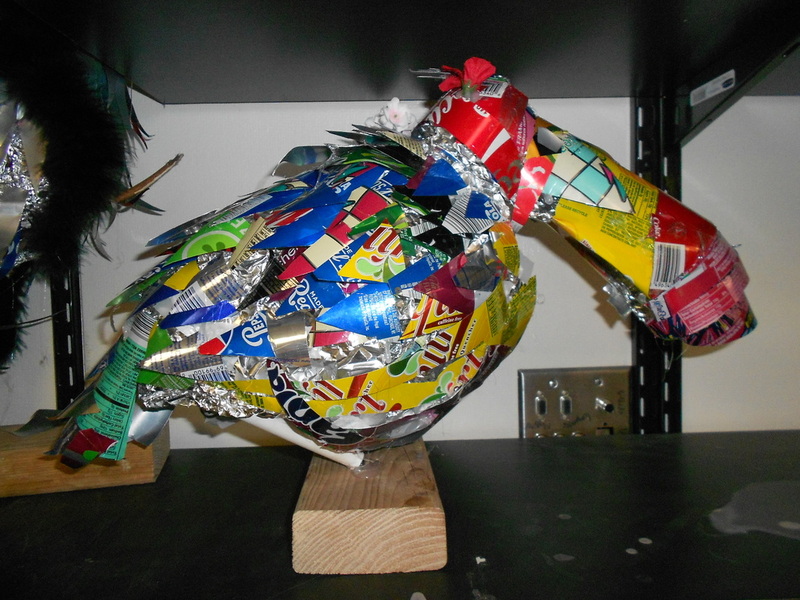 Students began this project by drawing and studying the shape and form of a particular bird. 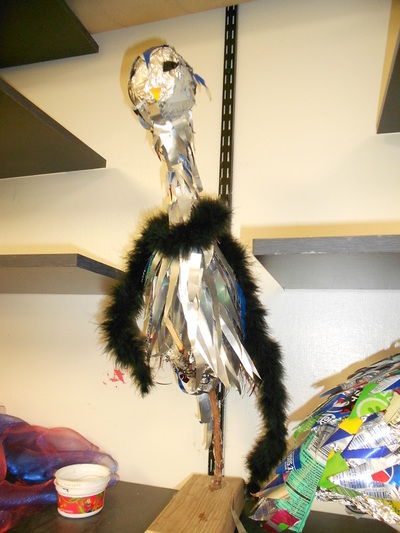 Then, they built an armature with wire, newspaper and tape. 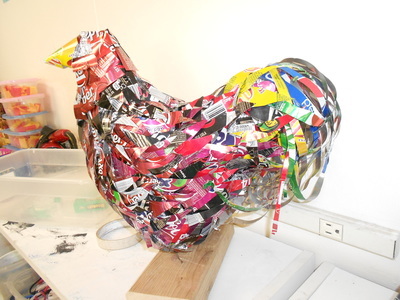 Next, they painstakingly cut endless soda cans into individual feathers to attach to their sculpture. 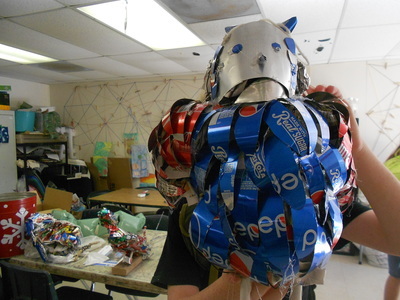 Surprisingly, soda can metal is very malleable, and not too sharp to work with. We found hot glue was the only glue that worked for this project. However, because the metal conducts heat, it was tricky to get the feathers attached without getting burned! 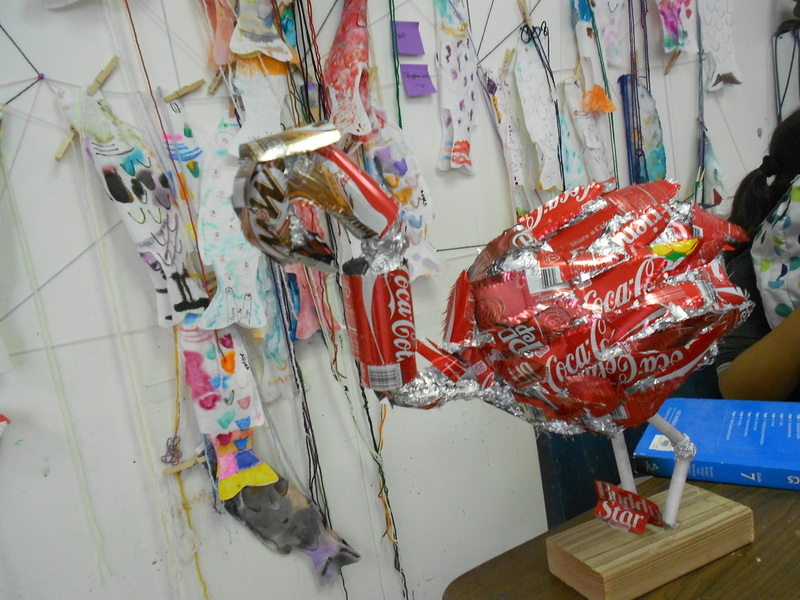 Several blisters later, we had a room full of gorgeous bird sculptures!